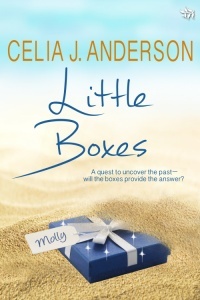 I’m delighted to welcome Celia J Anderson back to my site today on Day 7 of her blog tour, celebrating her brand new novel, Little Boxes. Today’s theme is starting again. In Little Boxes, Molly is faced with the challenge of making a new life and getting to grips (in more ways than one) with a brand new man. 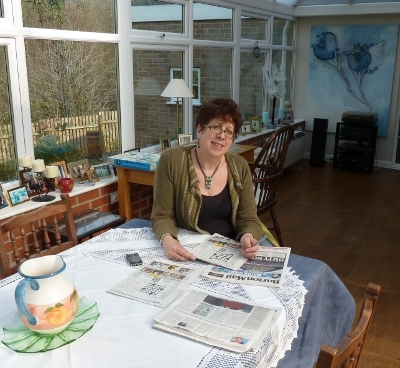 Tom knows he’s the right one for Molly, but she finds it very hard to leave her past behind. He smiled, picking up one of the enormous menus. ‘No, but that’s not a problem – we’ll just order the smallest thing we can find. What about French toast and fruit; is that ok? Do you like French toast?’ Signalling to the waiter, he realised with a stab of alarm that he knew next to nothing about her. The waiter brought their order and they laughed, breaking the tension. The plates were so loaded that the toast spilled over the edges, and the enormous slices of watermelon dwarfed the heaps of strawberries and kiwi. He looked at her and felt a sharp pang when he saw green eyes instead of blue. He didn’t know that she was seeing blue eyes when she had half expected green. ‘So much for a light breakfast,’ he said. The man and the woman exchanged sheepish glances, both blushing. ‘But…I don’t really know her,’ he stuttered. Grinning, the man dug out a note from his wallet, and handed the t-shirt to the woman. ‘Happy Valentine’s Day,’ he said. They were married in December, 2008. Neither of them ever wore the t-shirt. Many thanks for dropping by today Celia.